The most precious and meaningful piece of jewelry I will ever own . Thank you Jeannie for this beautiful reminder of how close my beautiful girl really is.They are never far from us....are they! Beautiful pendant...arrived quickly...nicely packaged. Given as a gift..very appreciated. I wear this necklace everyday, as it is a perfect size and not bothersome at all. 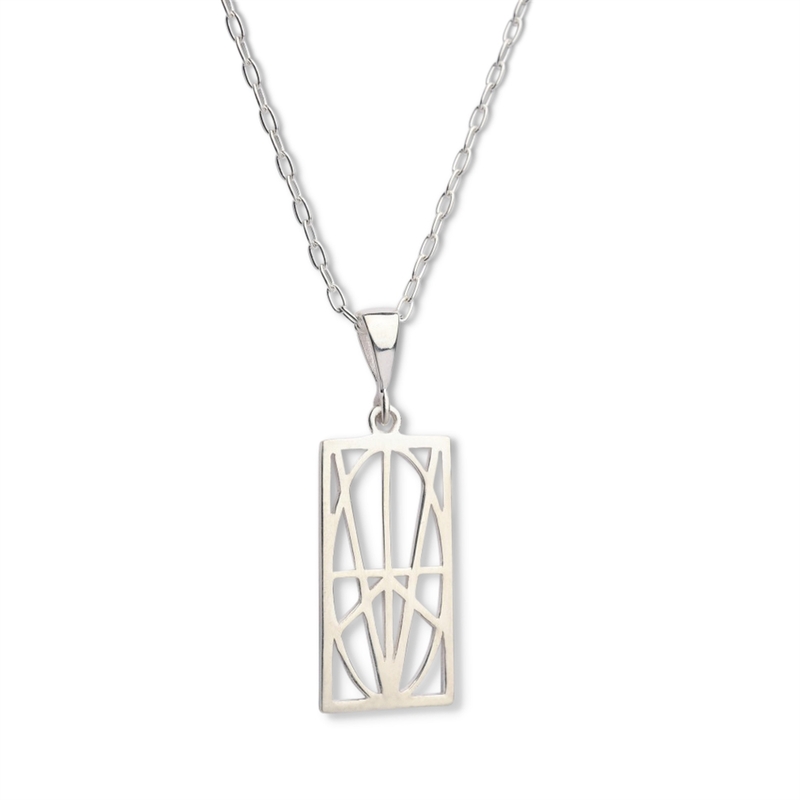 The sterling silver is of good quality and keeps a nice shine on the pendant as well as the chain. I would certainly recommend this necklace for any lady who may be interested in purchasing a Zymbol product. Love it...just wish it was offered in gold color. It is beautiful and I get compliments on it all the time. I feels good wearing it, something I can't explain or put my finger on. Looks lovely. I know my Daughter will love it. Everywhere I go and they say " I love your necklace" I ask for paper and pen and explain the design. I then give them your website and they buy one! I should be in SALES! My daughter and I each wear ours everyday. I like that once I explain to people they always say " I can see LOVE now!"